A close encounter with emerald forests, snow-capped mountains, waterfalls, glaciers and Icy Bay fjord while cruising through the ‘bucket-list’ destination – Alaska. For those of us who live in the tropics, exotic destination like Alaska is that far away frozen dream, which may thaw into reality, perhaps, once in our lifetime. The land of the midnight sun, whale watching, salmon trails, the grandeur of wild life, flora and fauna, evoke the spirit of adventure even in advanced middle aged couples like us and when the whole journey can be done aboard a luxury cruise liner, it’s akin to Shanghri- La. Known as Alaska’s ‘first city’, Ketchikan city is perfect for wildlife lovers, adventure enthusiasts, shopaholics and nature admirers. It is the home of the native Tlingit Indians and is supposed to have the largest collection of Totem poles. Ketchikan is also known for the salmons… so be sure to try a variety of salmon dishes. This 19km long glacier is the most attractive and popular of all the glaciers. Reason: the Mendenhall ice caves. They exist only because a glacier is melting-- and as you can guess, glaciers don't keep on melting forever. It’s the place to go hiking ‘before you die’. In fact, there are couples who get married there just to build a ‘lifetime’ memory of the beautiful bond. 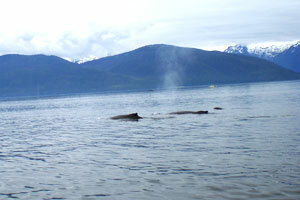 It is a privately owned tourist destination right outside the small village of Hoonah in Alaska. Get ready for whale watching with the backdrop of snow-clad mountains. Adventure seekers can try the zip-line ride. The 1.5 minutes provides a panoramic view of Port Frederick and surrounding islands from 300 feet above the sea level. 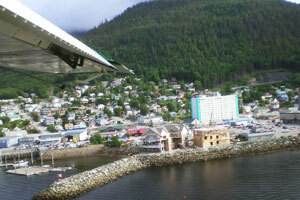 The City and Borough of Juneau is the capital of Alaska, popular for its picture perfect sights. A helicopter tour over the glaciers is just a life-time experience and at the same time educative. You can also ride a dog sled like an Eskimo. This historical city is a part of setting for Jack London’s book ‘The call of the wild’ and for Joe Haldeman’s ‘Guardian’. It is where the bygone Gold Rush took place. Don’t miss the train ride on the White Pass and Yukon route to have a breathtaking experience. We landed in Vancouver late May for seven days of unbridled joy and luxury along with taking in all the great sights north of the 40th Parallel. After an overnight stay in a comfortable motel, we boarded a luxury bus specifically run by the Vancouver Tourism Board for cruise passengers. The bus took us on a sightseeing trip of Vancouver. Canada Place, Stanley Park with their famous totem poles, Gas town and China town. After a leisurely lunch, we headed to the cruise passenger terminal to board our cruise-liner. When to go: The Alaskan cruises run from early May till late September. 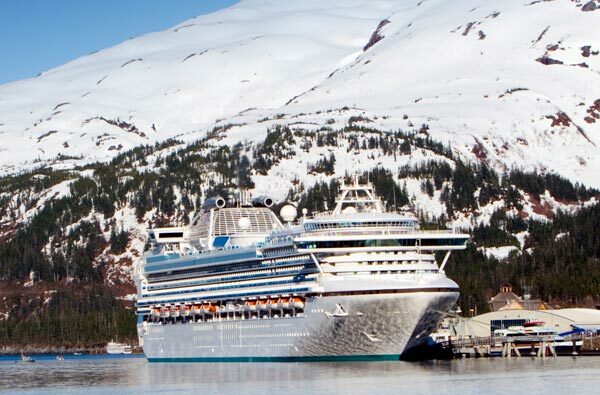 Do check on internet about ‘Things to know before going on an Alaska cruise’.